Cedar Impressions® Individual 5" Sawmill Shingles. Throughout its lifespan, the beauty of natural cedar changes with the effects of time and weather. Now, CertainTeed makes it possible to choose the cedar appearance you prefer – freshly sawn or aged. 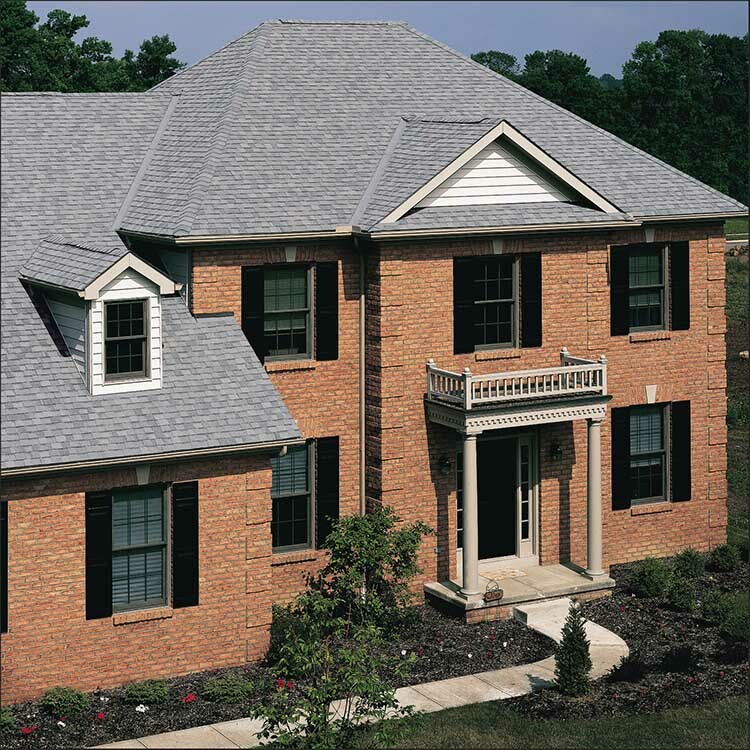 With Cedar Impressions Individual 5" Sawmill Shingles, you keep that look forever. Cedar Impressions Individual 5" Sawmill Shingles are the industry’s first polymer shingles that feature an innovative, blended color throughout. Each shingle also reflects the sawmill texture and appearance of cedar, and installs in the same manner as individual cedar shingles. Ageless Cedar™ makes time stand still. CertainTeed’s innovative Ageless Cedar™ Color Blends captures the appearance of natural Eastern White Cedar and Western Red Cedar at various life stages. 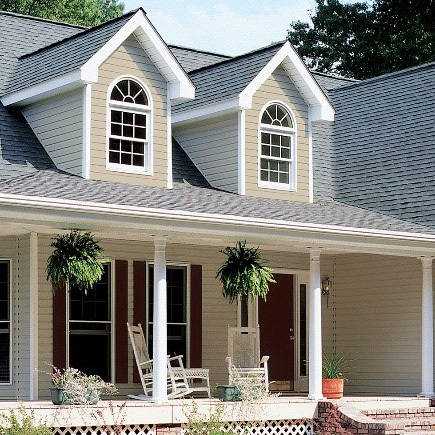 Ageless Cedar™ enables the selection of unique, random color patterns for one-of-a-kind exterior designs. TrueTexture finish, molded from real cedar, gives Cedar Impressions the look of architecturally authentic sawmill shingle textures and patterns. 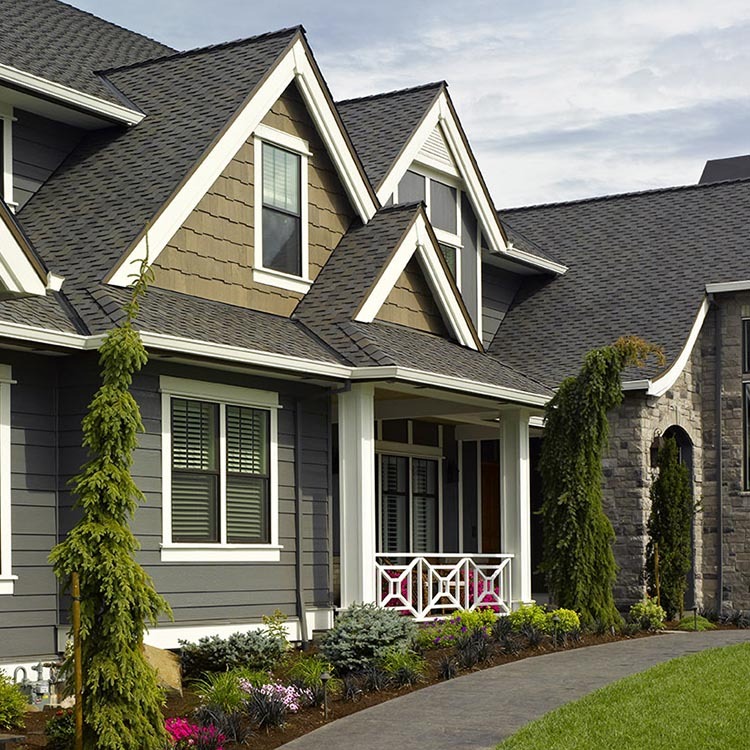 Unlike competitive products that have color applied only on the surface, CertainTeed’s proprietary, patent-pending manufacturing process results in blended color throughout the shingle. Cedar Impressions Individual Sawmill Shingles come in 16 unique, authentic sawmill textures, and in 7 widths: 4”, 4-1/4”, 4-1/2”, 5”, 5-3/4”, 6-3/4” and 8”. Each Ageless Cedar™ Color Blend comes in 3 shades: light, medium and dark. Select individual shingle shades and mix them into unique, one-of-a-kind designs with random textures, widths and coloration. FRESHLY CUT WHITE CEDAR With the bright appearance of freshly cut white cedar, CertainTeed Natural Blend shingles are as close to nature as you can get. AGED WHITE CEDAR CertainTeed’s Driftwood Blend shingles provide the look of aged white cedar at its most beautiful stage, keeping that look indefinitely regardless of the effects of weather. FRESHLY CUT RED CEDAR CertainTeed Cedar Blend shingles provide the look of deep, warm tones from freshly cut red cedar that never degrades and will not require continual maintenance. AGED RED CEDAR Ageless Cedar™ technology ensures CertainTeed Rustic Blend shingles capture the seasoned look of cedar with a consistent weathering pattern that will not change over time. Cedar Impressions Individual 5" Sawmill Shingles also come in long-lasting solid colors that have the look of freshly painted cedar. Unlike real cedar, Cedar Impressions shingles will never require painting or maintenance related to chipping paint.